Dorrigo's Cork Memorial Medical Centre is an exquisite example of the synergy between environmental sustainability and the architectural beauty of timber. The project was built as a legacy of the late Cyril Cork, who funded the project with the intention of creating an ethical development with far reaching community benefits. 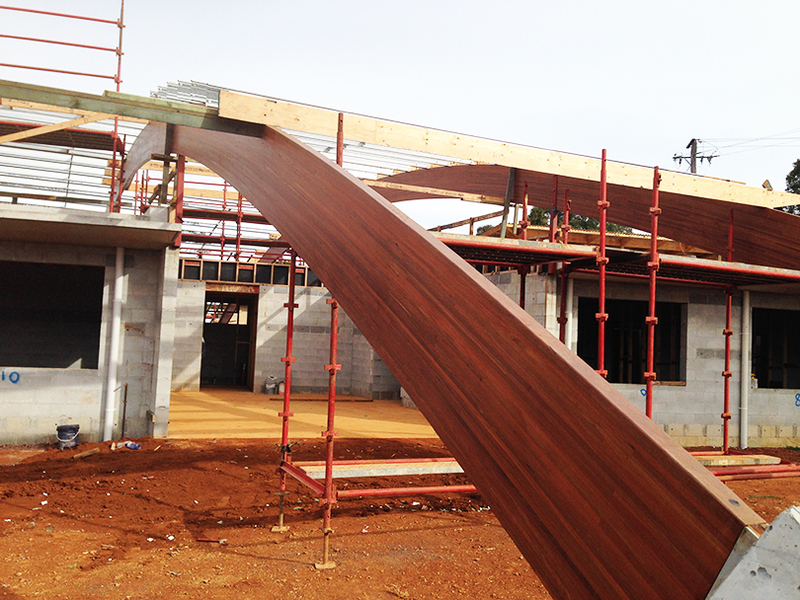 Produced within four weeks at Hyne Timber’s GLT Plant in Maryborough, the three curved beams, each measuring 36.6 metres in length, were easily transported as four equal parts, and were prefabricated with their connections either supplied or already attached. 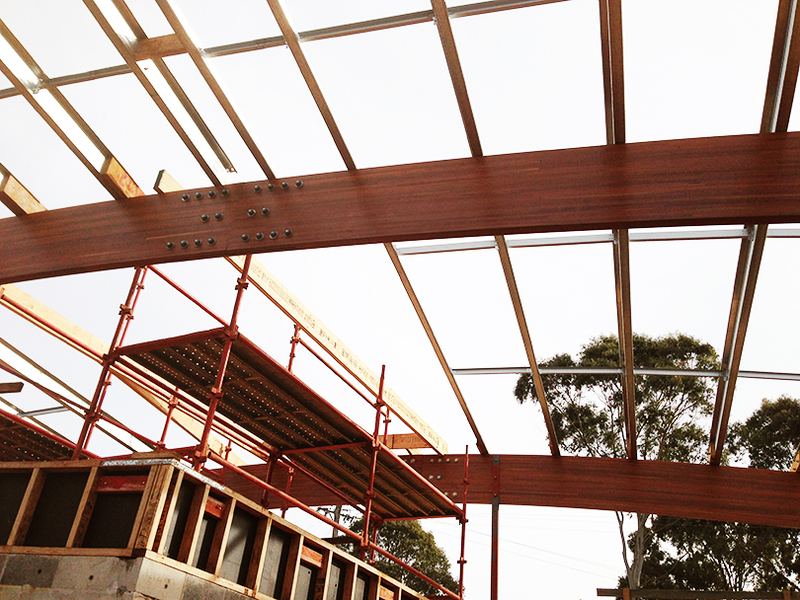 They simply required lifting into place on-site and the structure was complete. The environmentally friendly components of this remarkable building extend from the use of timber and other natural materials in the design and construction, to its power, heating and sewage systems. The building’s unique design also assists the heating system through the immense thermal mass stores created by the use of timber in the construction of the building, which helps regulate the interior’s temperature, reducing the energy needed to power artificial heating and cooling.